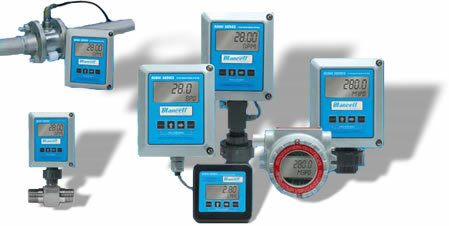 The Blancett Model 1200 In-line Turbine Flow Meter was engineered for applications in highly corrosive environments. Developed for use in petrochemical and other process industries with liquid chemical flows, the Model 1200 Turbine provides accuracy and durability in aggressive industrial environments. 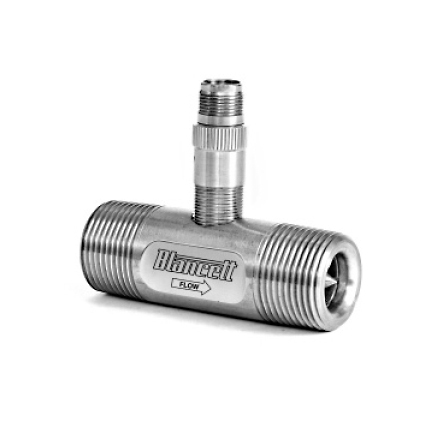 The meter features a 303 stainless steel body and internal wetted parts, with two Type 440 stainless steel ball bearings.